CUP reverses course on CQ censorship – And then? 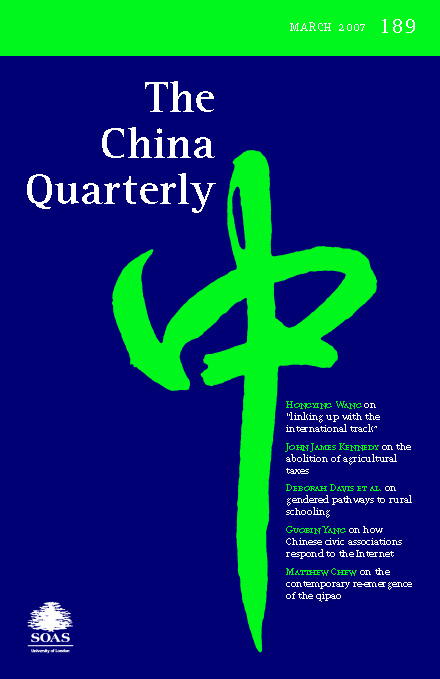 Home /China, Education/CUP reverses course on CQ censorship – And then? This episode has shown that western academia, like other sectors across western societies, does not have an informed and systematic policy on how to balance the realities of PRC political norms and the desire to maintain a positive engagement with China. As the connections between China and western academia have intensified, much greater thought has been put into recruiting Chinese students than formulating an appropriate modus operandi for dealing with a government that appears to want western academia to adopt behaviours compatible with its own. In the past decade the level of interest in China has increased dramatically. Consider, for instance, the number of learned journals focusing on China, and non-area-focused disciplinary journals that now regularly publish research on China. I have been tracking this development closely for the past decade and the increasing attention is substantial. I believe, unequivocally, that this is a positive development for the west and for China. If we are to increase mutual understandings and reduce mutual ignorance as a cause of friction as our engagements intensify, rigorous academic work combined with active external engagement has an important role to play. Of course, it also means that the Chinese authorities have a harder job controlling the amount and kind of information out there, some of it incompatible with ‘political sensitivities’. There has not yet been a systematic response from China, other than the blunt and ad hoc censorship efforts that have come to light over the weekend. But neither has there been a systematic response in western academia (let alone other sectors where critical reflection is a less inherent quality). As a profession we have given little thought about how to deal with the PRC’s nascent attempt to import Chinese political cultural norms into western classrooms full of Chinese students; or how to uphold academic values in the face of attempts to censor our work. If nothing else, one hopes that the episode with CUP will alert the profession, and other sectors, to the need to start thinking more deeply about this issue. Positive engagement with China is crucial, but so is a realistic appraisal of our differences and a policy for dealing with them. Dr Jonathan Sullivan is Director of the China Policy Institute and a member of the China Quarterly’s Executive Committee. He writes here in a personal capacity. He tweets @jonlsullivan.